Welcome to the Area for Middle East and Arab Countries: The mission of this regional studies center is to promote research and development for generating highly qualified experts, intellectuals and policy makers to deal with the emerging opportunities and challenges vis-à-vis Middle East and Arab Countries. 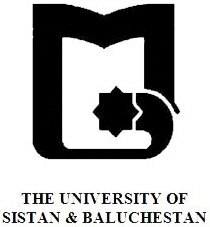 The Area Study Center for Middle East and Arab Countries (ASCME) has been established by the Federal Government of Pakistan at the University of Balochistan, Quetta in 1989 through a parliamentary legislation (Act No. XLV of 1975) passed by its first elected National Assembly, to build up an academic understanding of Middle East among the academia and decision makers in the corridors of power. The ASCME seeks to promote the inter-disciplinary study of this geopolitically important region to strengthen academic and diplomatic ties with the Middle Eastern States. The Area Study Center with its own distinguished faculty offers M.Phil/Ph.D admissions in International Relations, Political Science and History of the Middle East & Arab Countries.